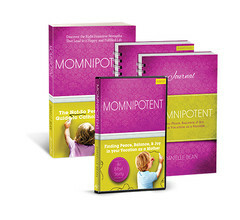 Some of the links I posted earlier this week have stopped working, so for those of you still looking to purchase Momnipotent materials for the lowest prices available anywhere, please use the links below. Thank you for your support! If you would like it personalized, please make a note of the name it should be signed to in your Paypal order. 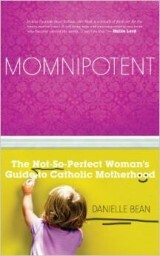 Contains everything you need to begin an 8-week Momnipotent study at your parish or home: Momnipotent book, journal, leader guide, and 8 DVDs. Save over 30% — lowest price available anywhere!